ARMS Rooter & Plumbing offers a full service Commercial Plumbing Contractor division, specializing in servicing commercial, retail and public facilities. ARMS Rooter & Plumbing Service comes to you with extensive experience in installing and servicing all plumbing needs from leaky faucets, toilets or sinks to sewer, gas and water line excavation. Our plumbers experience is vast, as there’s virtually no project or problem we can’t solve. ARMS Rooter & Plumbing Services proudly serves all of Solano County and Napa. We pride ourselves on our ability to take on any project large, small, residential or commercial. We make sure when completing each project that our customers’ needs and wants are fully in mind. We aim to exceed their expectations to ensure a lifelong customer. We complete each project cleanly, on time and done right the first time. Contact us for a fair and accurate estimate of your project. We look forward to adding you to our long and growing list of happy customers. 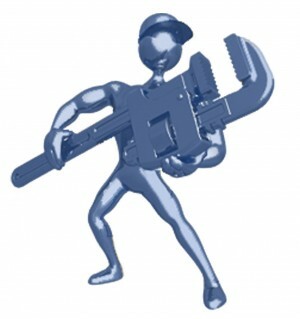 We will send you an experienced plumber, not a salesman, who knows how to fix the problem quickly. ARMS Rooter & Plumbing Services has been and will always strive to be a plumbing company of success stories. Contact ARMS Rooter & Plumbing Service Today!